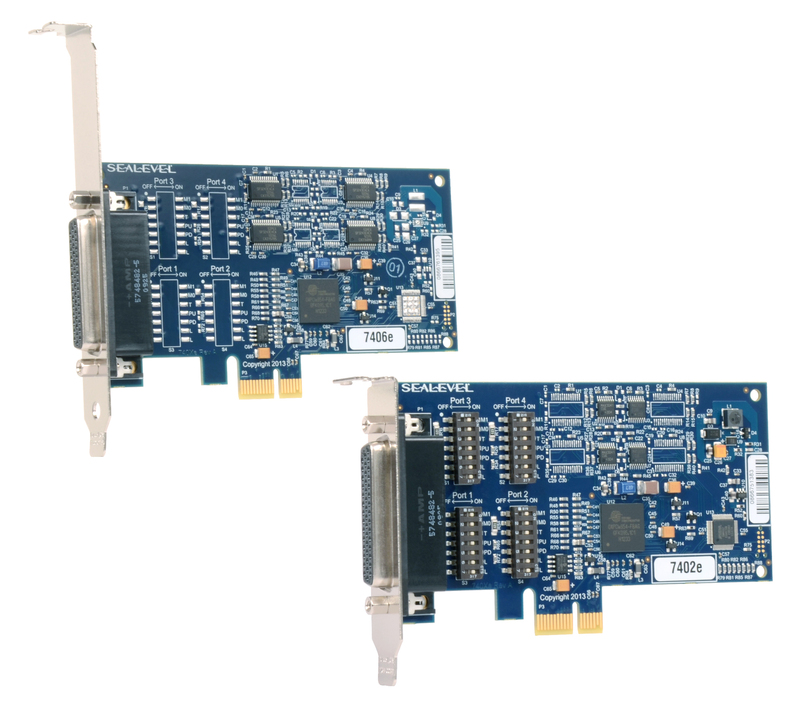 Sealevel Systems announces the release of two new 4 port low profile PCI Express serial I/O adapters. Boasting high-performance 16C954 UARTs, both boards include 128-byte FIFOs, eight times larger than those found on products that use standard 16550 UARTs, enabling error-free communications even at high data rates. 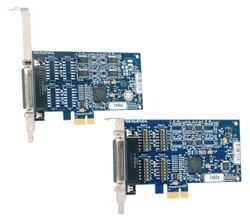 Sealevel Systems announces the release of two 4-port, low profile PCI Express serial I/O adapters. Boasting high-performance 16C954 UARTs, both boards include 128-byte FIFOs, eight times larger than those found on products that use standard 16550 UARTs, enabling error-free communications even at high data rates. Additionally, the 16C954 UARTs support 9-bit framing and are fully software compatible with legacy UART applications. The boards are the perfect choice for data intensive applications including test and measurement, data acquisition, and military applications. The 7402e board offers four serial ports that can be individually configured for RS-422 or RS-485 interface. In RS-485 mode, the 7402e provides automatic transmitter-enable in hardware, eliminating the need for application software control and allowing the board to be used with standard serial applications without the risk of bus contention. The board supports high data rates up to 921.6 Kbps and includes a 36 inch serial cable that terminates to four DB9M connectors. The 7406e provides all RS-232 modem control signals for maximum compatibility with legacy peripherals. Data rates to 921.6 Kbps are supported and users can choose a serial cable with either four DB-25M or four DB-9M connectors. All Sealevel PCI Express serial adapters include SeaCOM software for Windows and Linux operating systems. For easy testing and diagnostics, customers also receive WinSSD, a full-featured application including BERT (Bit Error Rate Testing), throughput monitoring, loopback tests, and test pattern message transmissions. The 7406e is priced at $279, while the 7402e is $329. Both boards are available immediately from stock. The standard operating temperature range is 0 - 70°C, and extended temperature versions operating from -40°C - 85°C are available. Like all Sealevel I/O products, the 7402e and 7406e are backed by a lifetime warranty.